What do you want to accomplish in the New Year? 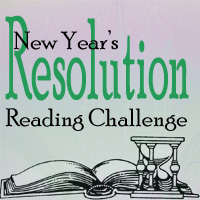 Will reading a book help you reach your goal, keep your resolution, or complete your project? Start the year off right by reading books that support your goals, resolutions, and projects — join the New Year’s Resolution Reading Challenge! Join us to read Big Magic by Elizabeth Gilbert to give yourself a creative push at the beginning of 2016. If you loved Elizabeth Gilbert’s TED Talk (one of the most popular ever) or, more recently, her SuperSoul Session on Oprah, this book will help you explore her generous and inspiring take on creativity in more depth. It’s a short book and we’ll take five weeks to read it, so not a great commitment for a big bang in creativeness. Let me know if you would like me to email weekly discussion questions to help you engage more strongly with the book. January 4. Part 1, Courage. January 11. Part II, Enchantment. January 18, Part III, Permission. January 25. Part IV. Persistence. February 1. Parts V and VI, Trust and Divinity. Have you started reading any books to support your resolutions? Record your progress on your blog and use the link list below. Or, report your progress in the comments on this post so that we can all cheer you along. Resolution 1: Kick my addiction to outrage. I’ve nearly finished the book Twelve Steps to a Compassionate Life by Karen Armstrong. Resolution 2: Write a travel article. I’m about a quarter of the way through The Lonely Planet’s Guide to Travel Writing by Don George — the exercises are very helpful! Resolution 3: Learn about the e-book business supported by one of several titles available at the library. I still haven’t selected a book. Resolution 4: Be more creative. I’ll start reading Big Magic this week. What do you want to accomplish in 2016? What books might help? Let me know if you want suggestions — I’ve compiled a few ideas from hosting previous years of the New Year’s Resolution Reading Challenge. Reading is always a resolution I can keep so it never makes my list because it is a behavior I already am doing and enjoying and look forward to continue in 2016! I’ve put the book on hold at my library so hopefully I’ll get it and be able to read part 1 by the 4th. I’ve just put Big Magic on hold. Hopefully it’ll come in a week or two. I just realized I haven’t visited your blog in a while! I need to see if I’m still getting email notifications or not…I wasn’t planning on joining challenges and read-alongs for January, but this is the second one that has tempted me already! I just was able to download the audiobook of Big Magic, so I’ll see how much I can join in with the discussion. Happy New Year!